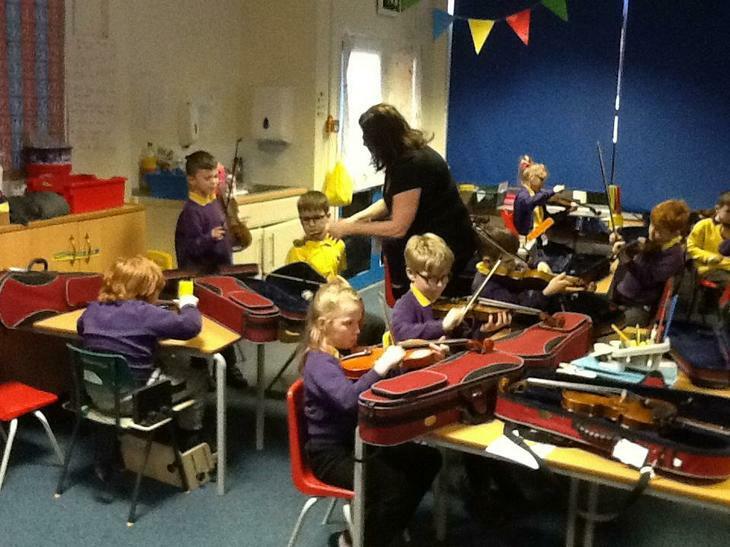 On a Monday afternoon, Mrs French visits our class to teach Year 3 how to play the violin. The children have mastered bow holding (a tricky business!) and are able to discuss pulse and rhythm. 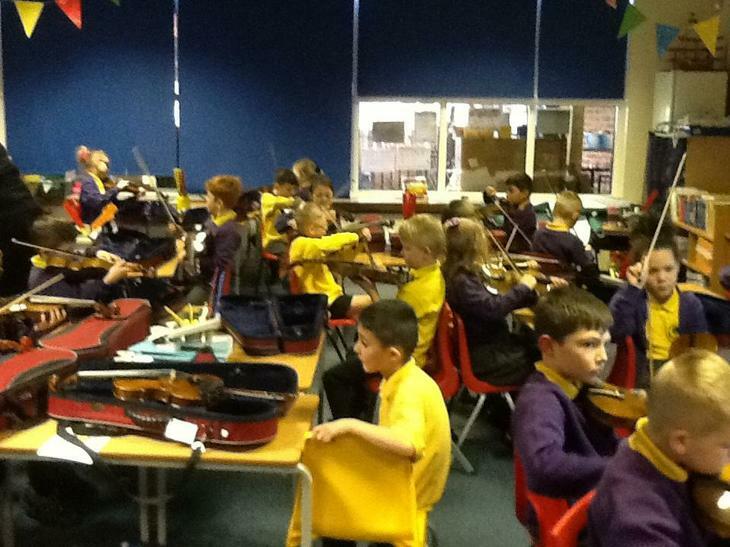 The children are currently working on using their skills to work as a string orchestra and listen to each other and play together.